At the end of every round of golf it is time to take a look at the scorecard. Now it’s our time to take a closer look at our scorecard as the crowdinvesting campaign on Companisto is reaching the end. How much progress have we made? What targets have we reached? What are the next steps? It was planned to go live with four countries. We finalized three out of four (Spain, Turkey, Morocco) and are slightly behind schedule with the Portugese Algarve. However, we will have that region available to our portfolio from next week on. We have already signed contracts for destinations in the Middle East (Bahrain, Jordan, Qatar, Oman and UAE) and Bulgaria with its world class golf course Thracian Cliffs. We will be able to add these destinations this autumn. We successfully managed our software development in spite of great complexity and launched our first prototype of the website a few weeks ago. In the meanwhile we feverishly continued our programming efforts and included several ideas and feedback brought forward by the Companists. Unfortunately, we weren’t able to adhere to the initial starting date. We will now go live with version 1.0 at approximately the end of June. The partnership with TUIfly enables the central booking of flights from more than 20 airlines with over 70.000 connections per week. With SunnyCars we incorporated Germany’s biggest rental car broker into our partner network. 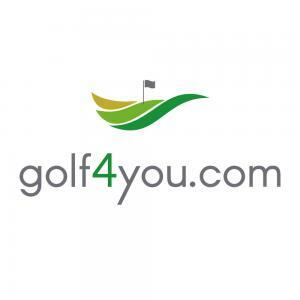 The direct linkage to the worldwide biggest flight reservation system “Amadeus” guarantees that all golfers will always find the proper connections at golf4you. Furthermore, we are conducting talks with a number of big partners, some of which are already well advanced. We were able to strengthen our team by two additional people who will start their work at golf4you in the coming weeks. They are adding considerable experience in the areas of golf travel business, marketing and project management. Over 400 Companists have invested more than 150.000 EUR into our company and we would like to thank every one of you. Beyond that we were able to attract a strategic investor with a lot of experience in the international golf travel business. This helped us realize our financing goal with 300.000 EUR of fresh capital. We were able to sign contracts with several destination partners (DMC), both already available destinations and forthcoming destinations. Noyan Golf from Turkey, Morocco Golf Services and Desert Adventures for the entire Middle East deserve particular mention. We would be quite happy with our scorecard on the golf course, although we do see the potential for improvements in some areas. Even “E-commerce dinosaurs” (as we were called on the internet startup portal “deutsche-startups.de”) can learn something new! Beyond that, we had positive press coverage and especially the golf trade press assured us further free publicity as soon as our website goes live. With this review we would like to document that our idea isn’t just hot air. Precise, visible and comprehensible steps have been made towards Go-Live, revenue generation and advanced development of the next phase. Our project has a few campaign days left on Companisto and we hope that some Companists use this last chance to make an investment or increase their existing investment.